Known for playing their cards close to their chest, tonight was a rare opportunity for the public to witness Brighton quartet Black Honey and their dazzling music from an intimate distance at the Sebright Arms, tucked away in a narrow passageway in East London. The penultimate gig of their first headline tour saw Black Honey perform a set that included all four tracks from their sole EP (which happened to be released the same day last year). The four-piece from Brighton kicked off their set in thrilling fashion with Spinning Wheel, and its pure cinematic quality filtered through the night’s atmosphere. The crooning vocals of Izzy B Phillips and wailing guitar chords echoed Nancy Sinatra’s rendition of Bang Bang (My Baby Shot Me Down), until two striking notes from the guitar cued a gunshot as the song steered the crowd into a spaghetti-western style thriller that accelerated towards hysteria with howling squeals, jangling guitar riffs and lustrous harmonies and progressions. Black Honey’s fascination with retro musical themes continued to saturate the night, even as they took things easy after the pulsating opening. Teenager (which features in their 2014 EP) was a track that attracted particular attention from the audience, and the quartet cemented the it’s importance with an enchanting performance. Its dreamy soundscape, melancholic melodies and sunset-tinged guitar refrains captured the surf rock ambience the song is indebted to. Glimpses of 50s/60s Americana glimmered through the indulgent, noir-shaded Sleep Forever. Sultry vocal melodies, sparse drums and dreamy guitar phrases in Sleep Forever aroused the feeling suggested by the title. To further enrich the dozy ambience, Phillips adopted a shoegaze aura in her stage presence, adding an interesting meditative flavour to the set. To round off the evening, Black Honey created a lively retro vibe with Corrine and You Said It All, stirring up a great reaction from the packed venue. 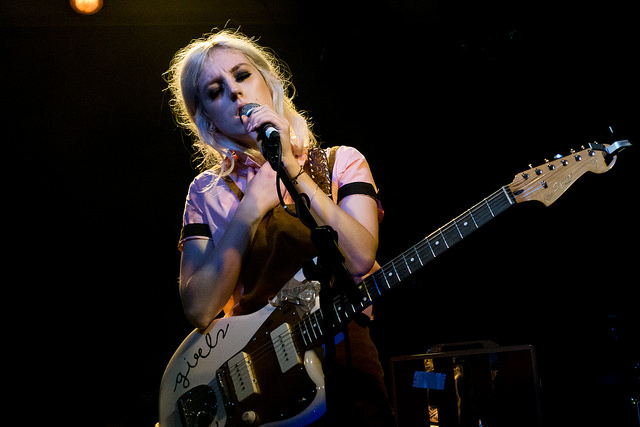 On reflection, Black Honey sparked a wild-heart energy that captivated a feverish crowd. Their distinctive brand of music conveyed a character and confidence unparalleled by other bands in today’s indie scene. For further information about Black Honey and future events visit here.